Cankamana is a holy spot near the Mahabodhi Temple. This is where Lord Buddha is said to have spent the third week of his meditation. He was training himself in the walking meditation here, also known as the Cankamana, from which the place gets its name. There are 15 elevated platforms with lotus flowers here, which mark the exact spots where he put his steps while walking. 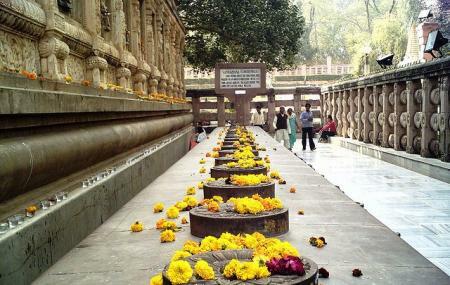 The spiritual feeling emanating from here makes it a must visit in the city. People normally club together Bodhi Tree and Muchalinda Lake while planning their visit to Cankamana.